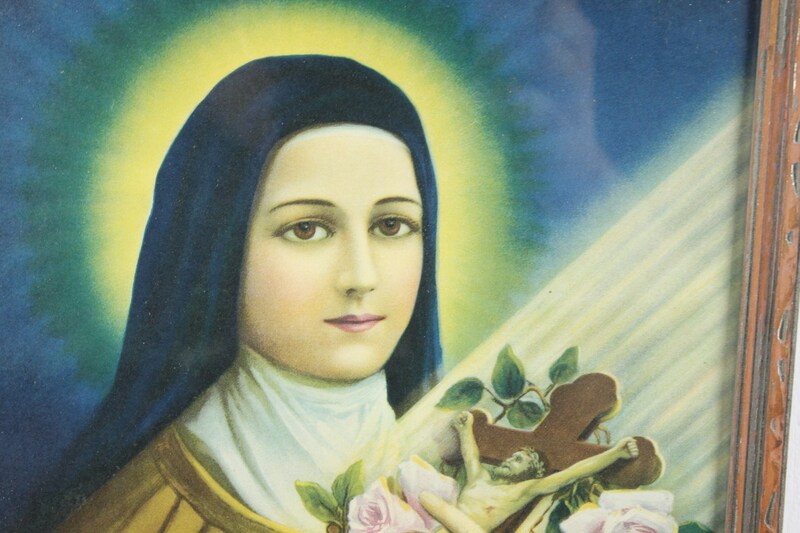 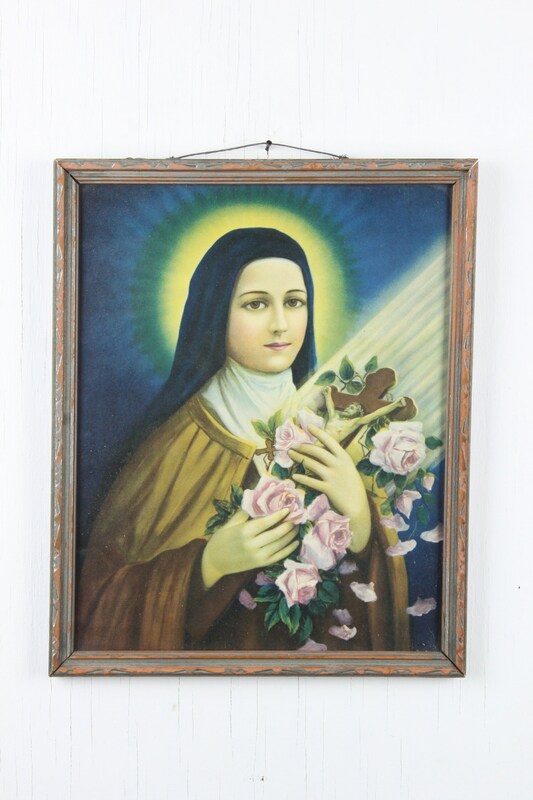 This amazing lithograph is in mint condition and depicts the image of Saint Therese of the child Jesus otherwise known as the Little Flower. 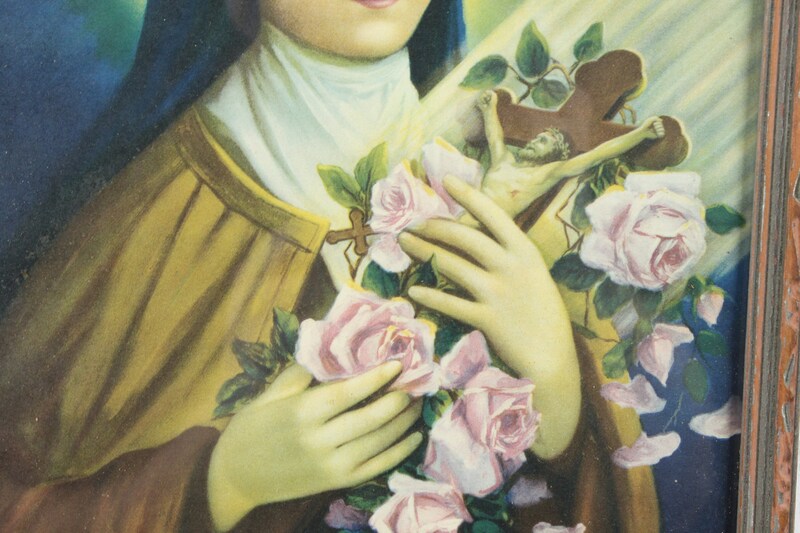 This piece was most likely produced during the 1920's to commemorate her canonization. 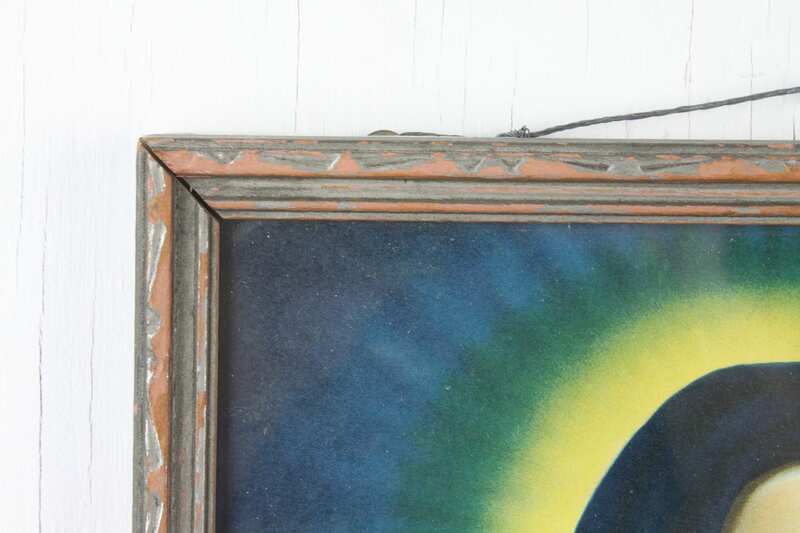 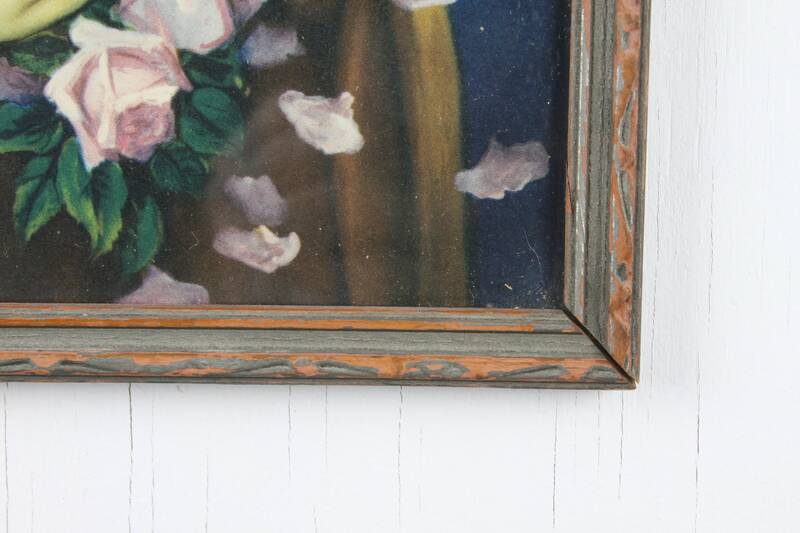 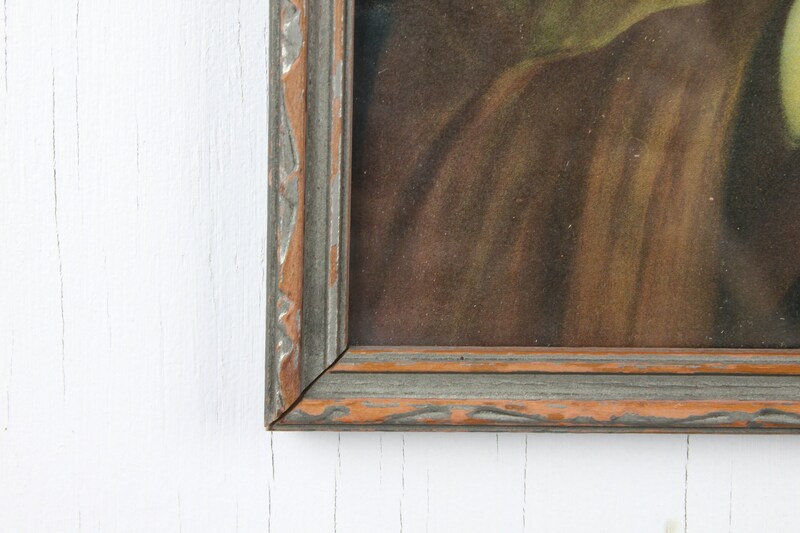 This piece is presented in a period silver gilt frame and under glass. 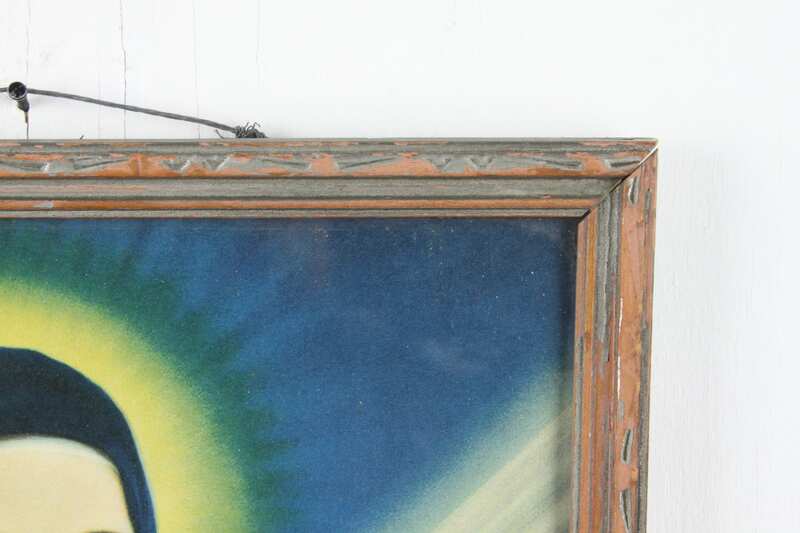 This print is highly detailed and presents an almost Maxfield Parrish quality with is vibrant use of blue and gold! 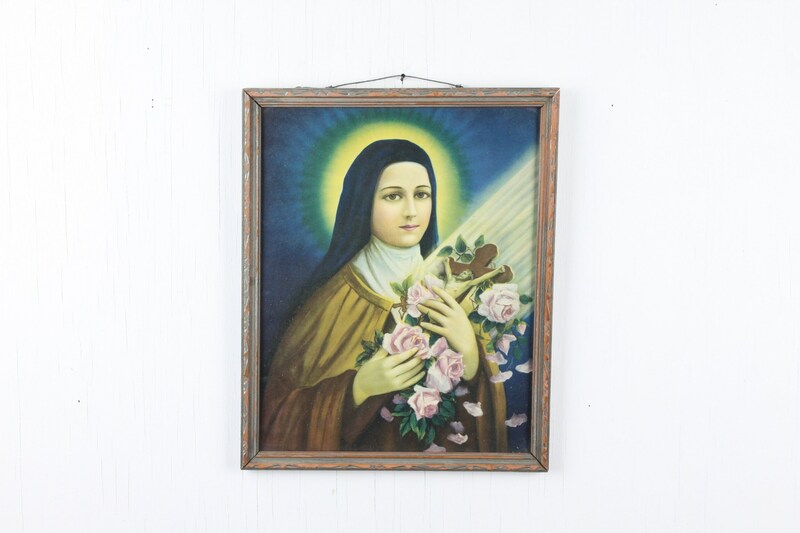 This simple yet elegant piece of religious art would make a wonderful addition to your home!